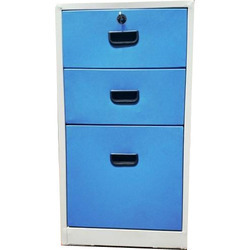 Prominent & Leading Manufacturer from New Delhi, we offer pedestal with 1 box 2 drawer and 1 box 2 drawer pedestals. As an eminent enterprise, we are providing our clients with the superior quality Pedestal with 1 Box 2 Drawer. Manufactured by using from supreme grade material, these are recognized for their high strength, corrosion resistance and longevity. Our provided product is accessible in varied specifications so as to meet the needs of customers. This product is tested on a well-defined parameter by our experts for dispatching a flawless range. We have marked a distinct position in the market by providing a high quality range of 1 Box 2 Drawer Pedestals. Offered products are manufactured utilizing quality material & modern techniques in adherence with the set standard of quality. 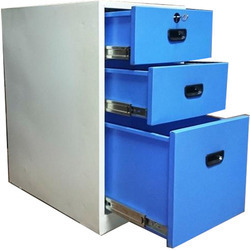 The offered products are widely used in offices, schools, hospitals and houses for storing important stationery items. Our products are highly appreciated for their fine finish and longer life.